Nitro Games announced the first episode of the reality show Heroes & Superstars will premiere exclusively on Twitch. The first episode of Heroes & Superstars reality show will premiere today 15 November on Twitch at 21:00 EET. Twitch has 24 hours exclusivity for the show. The show is casted by Auguste “Semmler” Massonat and hosted by Marissa Roberto. In the first episode, the superstars get to meet each other and are divided into teams. They get straight into the action with Downhill Kamikaze. The results of this first challenge also determine which teams will battle it out in the first match of Heroes of Warland. Heroes & Superstars is a new reality show, where nine gaming and three extreme sports superstars will form teams and battle for victory in Heroes of Warland. 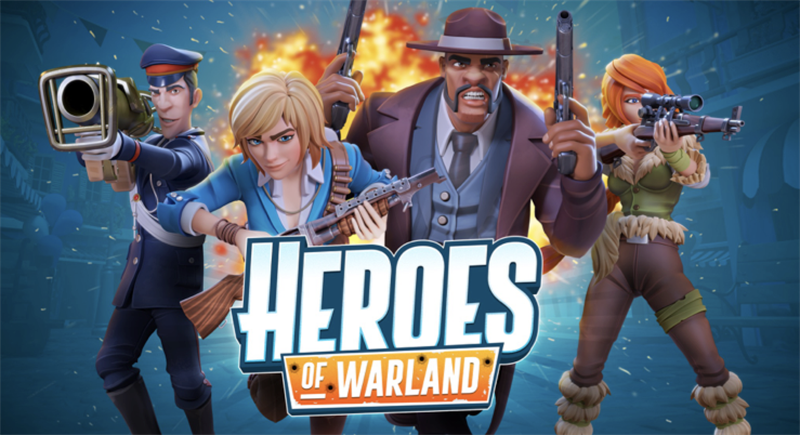 The premier of the show is synchronized with the launch of the Heroes of Warland, a competitive multiplayer game on mobile. Heroes & Superstars is produced by Gamingzone Entertainment and consist of six episodes. Twitch is the leading social video service and community for gamers where tens of millions of people come together each day from all over the globe to interact around live and on-demand content. This includes watching, talking, and chatting about video games and esports, as well as traditional sports, anime, music, the creative arts, and other shared interests. Twitch also runs TwitchCon, the annual convention for celebrating the Twitch community. Auguste "Semmler" Massonnat, also known as "SemmlerTheRiot", is a former Counter-Strike: Global Offensive caster, who has moved over to Overwatch League. He has casted many tournaments worldwide, which include Valve sponsored Majors and league finals. Marissa Roberto is a well known video games and esports host from various live events, TV shows, and Web.